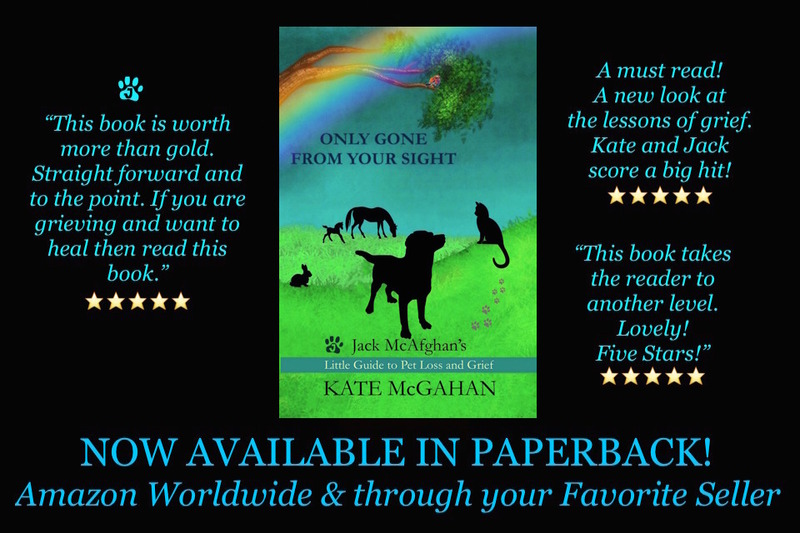 Kate McGahan: Life is the School Love is the Lesson: ONLY GONE FROM SIGHT: JACK McAFGHAN'S LITTLE GUIDE TO PET LOSS AND GRIEF - Now Available in Paperback! 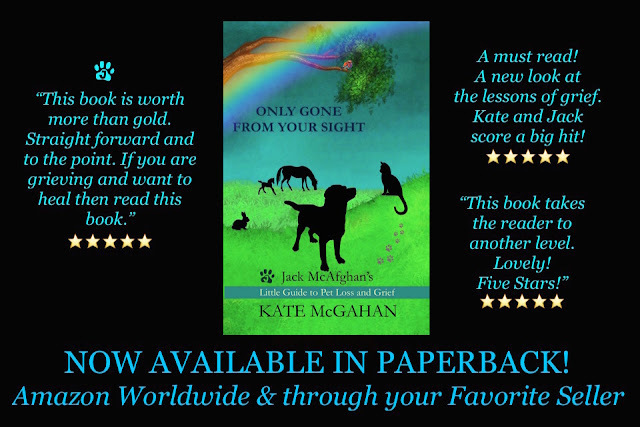 ONLY GONE FROM SIGHT: JACK McAFGHAN'S LITTLE GUIDE TO PET LOSS AND GRIEF - Now Available in Paperback! DECISION-MAKING AND HOW TO SURVIVE PET LOSS. Our favorite four-legged grief counselor, Jack McAfghan, guides you gently and honestly through all aspects of pet loss and grief. Jack will prepare you, teach you to make peace with the decisions you may ultimately have to make and help you to understand that the end of this life is not the end of life at all. Learn the secret language that will help you communicate with your pets no matter what side of the Rainbow Bridge they are on. This little book will help you know how to make the right decisions, how to stay strong in your time of loss and how to move forward by using the power of your love instead of the limits of your mind. Your best friend waits to speak to you on every page in this book. Give the gift of understanding. Help the pet lover in your life to face transitions courageously, rid themselves of guilt and blame, know how much they are loved and strengthen their faith that life never ends and that love never dies.